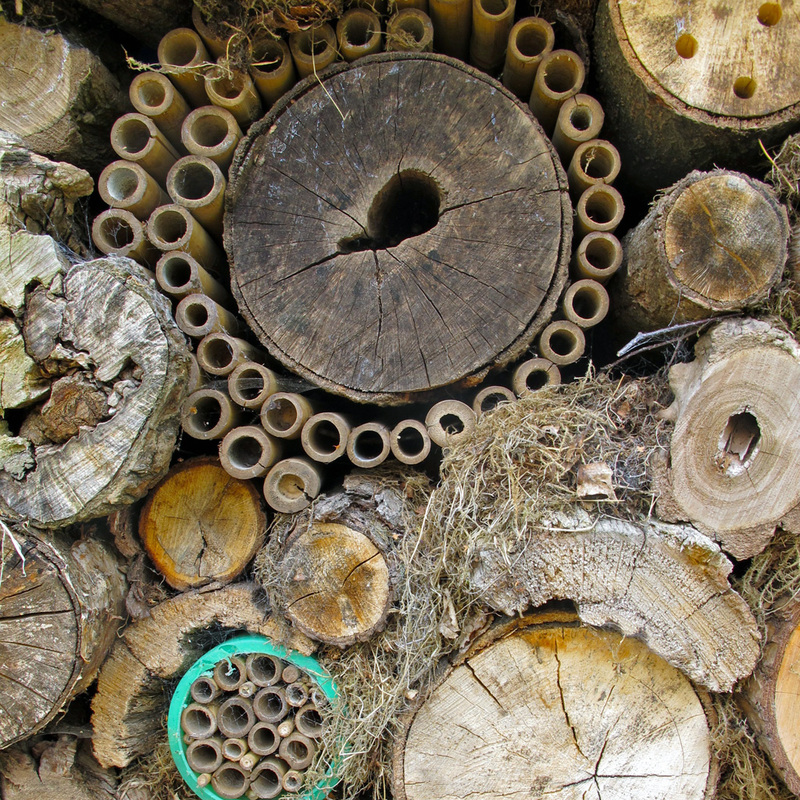 I signed up for 30 Days Wild and I’m sharing my pictures of insect hotels (also called bug condos) as a Random Act of Wildness. These imaginative homes for insects are a practical way to help the environment and bring grownups and kids closer to nature. On a more serious note, our gardens at home are often kept far too neatly mown and tidy for the comfort of beneficial insects, and their populations are under pressure. 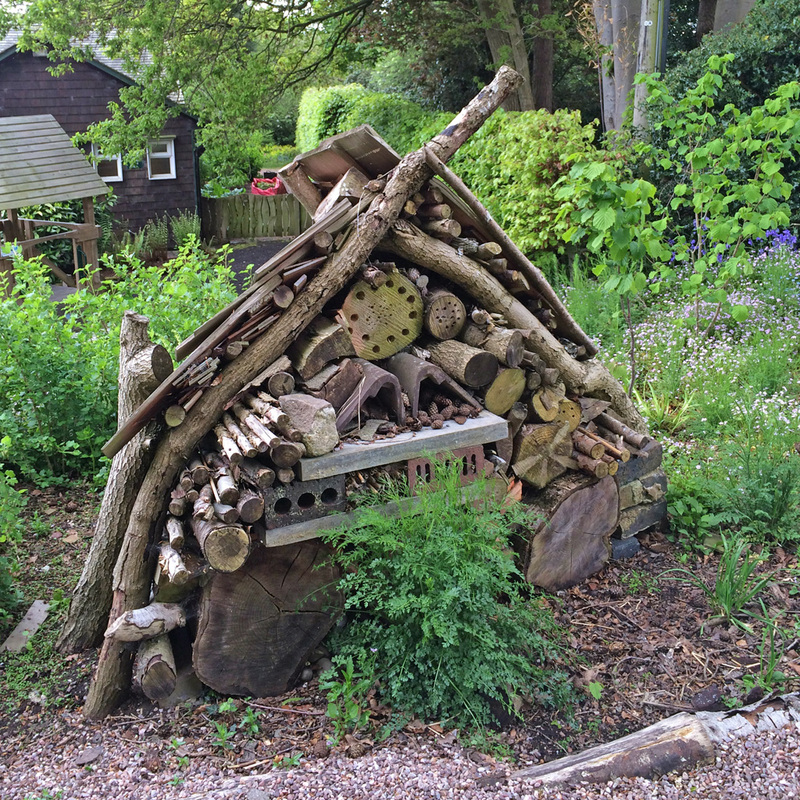 Many English gardens are showing us a way to help by including bug hotels in a sheltered corner. I found the one above in the Dorothy Clive garden and the one below in the kitchen garden at Hidcote. 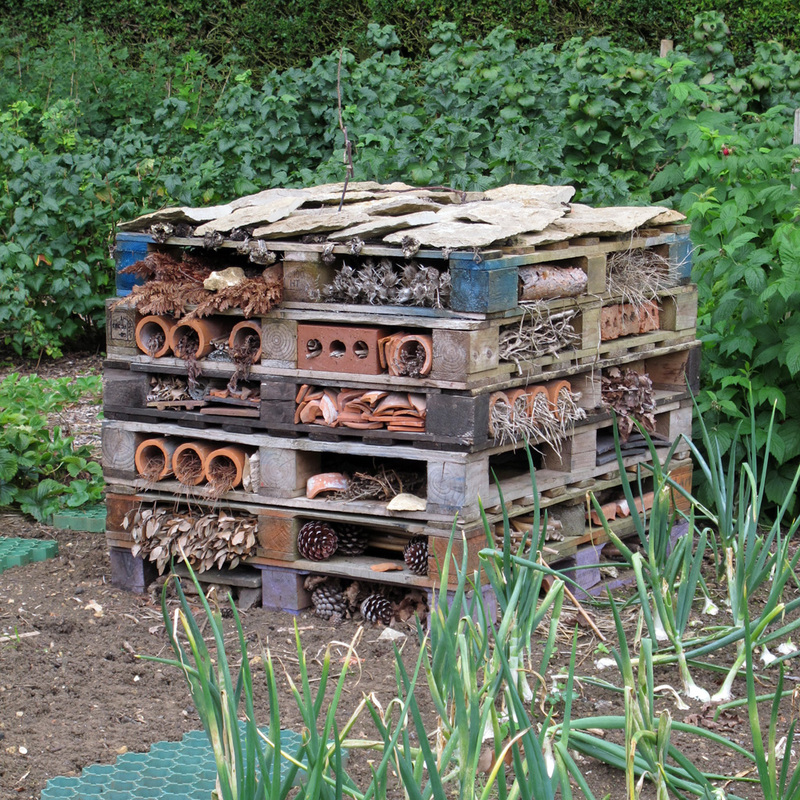 You’ll notice they have some form of roof to help keep the insect hotel dry and cool. 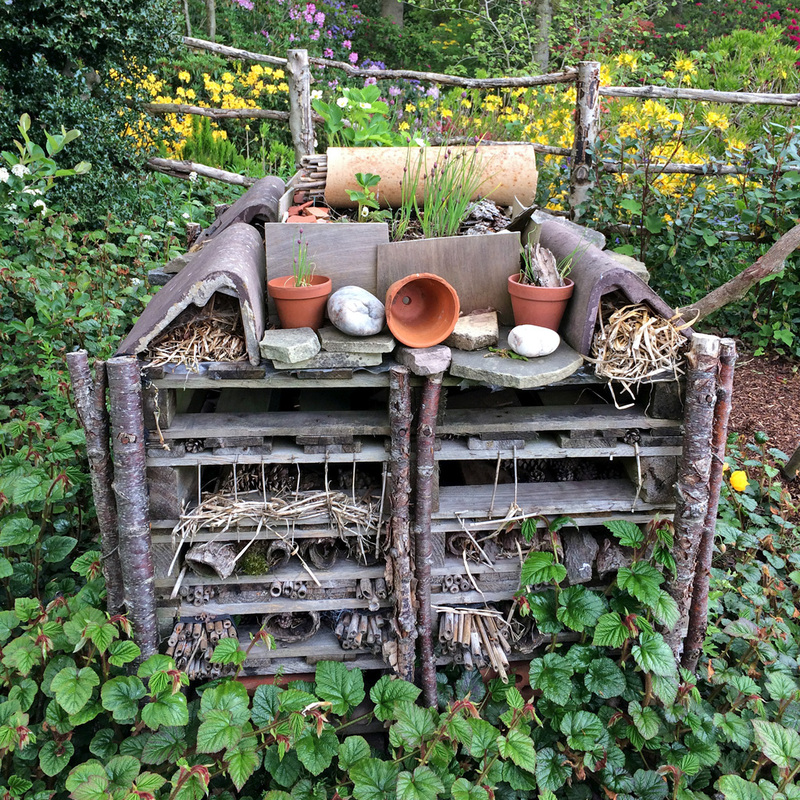 Materials used to create the insect compartments can include dead wood, bark, hollow stems and stick bundles; bricks, stones and tiles; dry leaves and vegetation; cardboard tubes, dried cones and terracotta pots. In other words, pretty much anything goes! Larger gaps provide homes for toads. 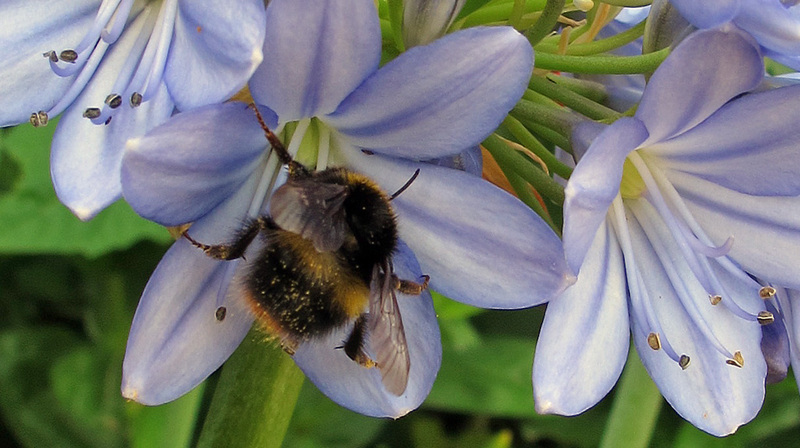 Ideally hotels are situated near plants rich with nectar to provide plenty of food. If you’d like to be involved, head to the Wildlife Trust’s website, follow @30DaysWild on Twitter or just leap in with your own Random Act of Wildness! Perhaps you could plan to make one later in the year to help them overwinter. Wonderful to make Hotel for Insects. This I am rather seeing for the first time. The Pics are just Beautiful. Will You please receive my Salutations!!! Pat ! Pat!! Pats !!! Some slugs have been eating my new hellebores so I’m not a happy bunny. They seem to munch the base of the stem and the leaf falls over. They are so imaginative. One of our local parks has turned the front triangle, under the roof eaves, of the information booth into a giant bug hotel. It looks great. There’s just something appealing about them from an artistic point of view. Perhaps they appeal to our instincts to be part of nature and to make things. Great post and such an important message too. Love the insect hotels. We’ve made one with old pallets but it is still work in progress.